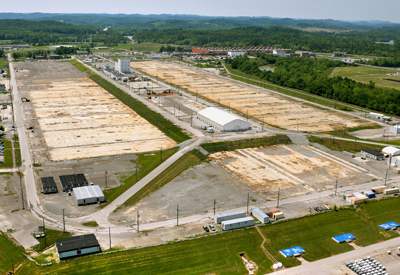 In 1942, nearly 60,000 acres of East Tennessee landscape became part of the most significant defense strategy in the history of the United States – the Manhattan Project. At the western-most boundary of the military's new reservation, the war effort engulfed the tiny Wheat Community (population 1,000) replacing farmhouses and fruit trees with massive concrete and steel structures that would produce the world's first enriched uranium. 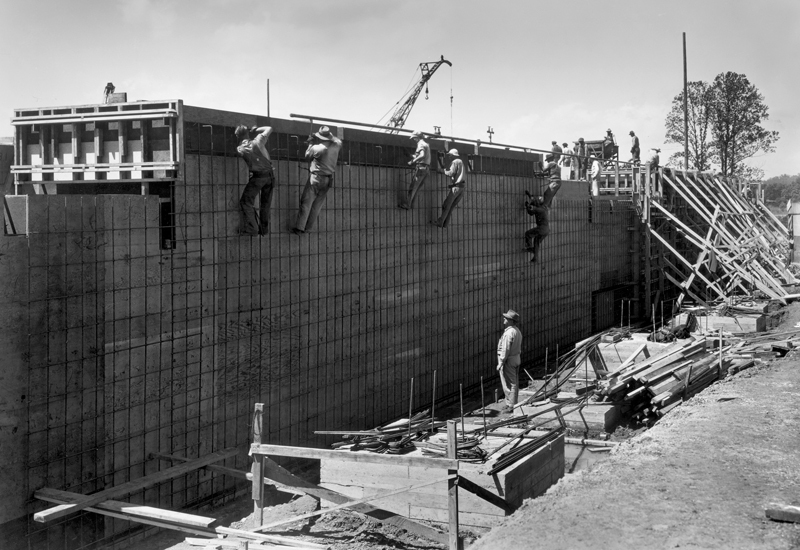 By September 1943, construction had begun on a two-million-square-foot plant known as K-25. The plant would enrich uranium using the gaseous diffusion process. Ultimately, its product would fuel one of two atomic bombs that would end World War II. 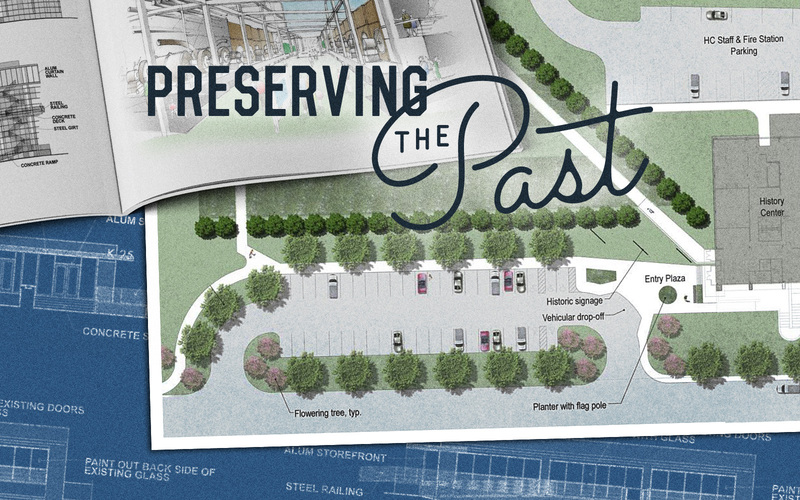 The K-25 Virtual Museum tells the story of the K-25 facility and its contributions to defense, energy and technology advancements through the 1990s. 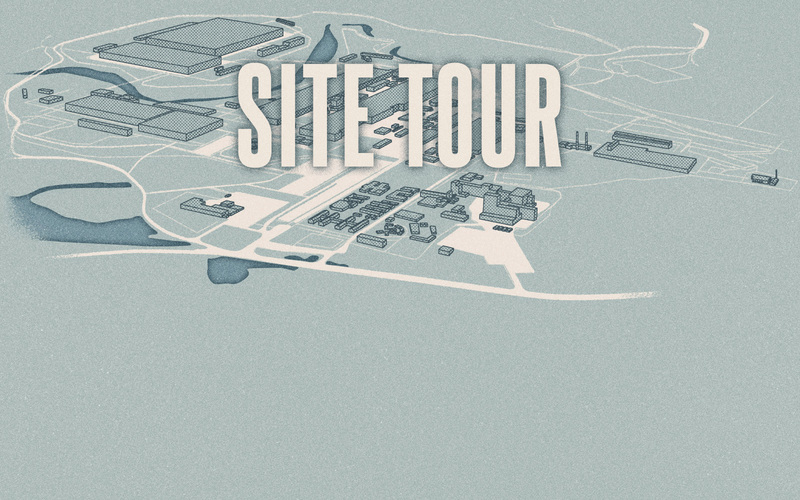 The website features a timeline chronicling the road to the bomb via East Tennessee; a K-25 site tour where the visitor can "walk" through decades of skyline changes; a glimpse of daily life in the construction camp known as Happy Valley; and a sneak preview at preservation efforts planned to commemorate this Manhattan Project site. 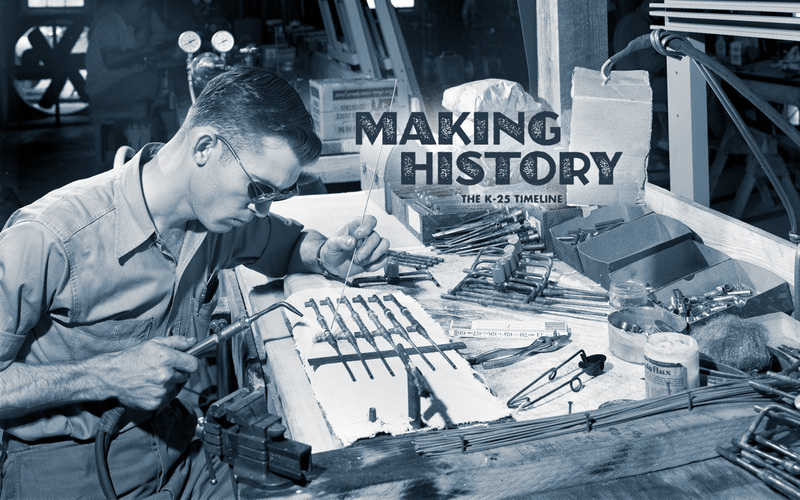 For more than seven decades, the faces and facilities at the K-25 Site have delivered defense, energy, and environmental missions that have helped end war, fuel nations, and restore the local landscape. The development and production of the first atomic bomb began shortly after the U.S. entered World War II. The undertaking would become known as the Manhattan Project, from its origins in research laboratories in New York City. 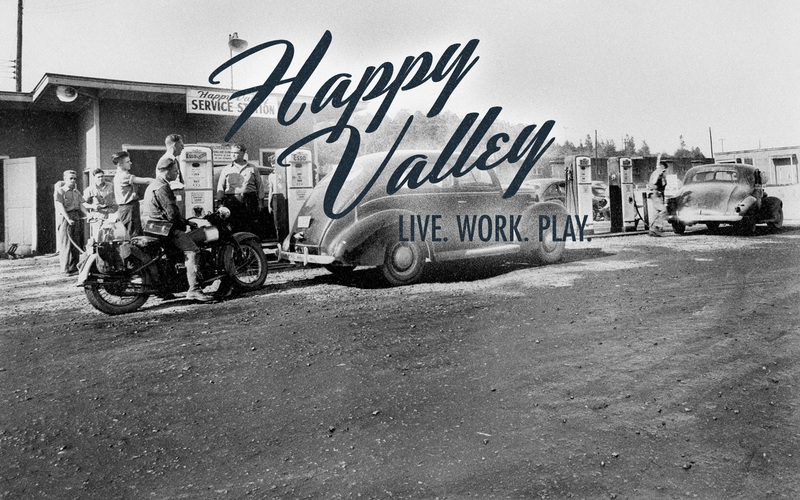 Through the K-25 Oral History project, dozens of former workers, family members, and local residents share their stories about living and working in a covert community. ...we asked him to give us some details of what we'd be doing. He said, "Sir, all I've been authorized to tell you is it's a tremendous experiment, and if it works, it'll revolutionize the world." The one thing I do remember is that I thought you had to wear polished shoes, and I discovered that you -- that the key note to being an Oak Ridger was having muddy shoes and dust on your face. 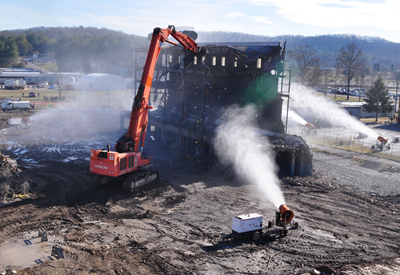 I think in general, the people that were in that plant were willing to help each other out any way they could to make their job easier.